This thread is meant to provide some general information regarding some things to consider when adding larger than stock tire sizes and/or aftermarket wheels with specs different stock. First, let's talk suspension and suspension lifts. The suspension is meant to go up and down and are designed to have a max upward travel distance and downward travel distance. OEM tire sizes are designed to clear all the surrounding suspension components and structure at full compression steering lock to lock. The bumpstops located just above the lower control arms are the absolute limiting component of suspension upward travel. While suspension lifts (strut spacers, spring/strut combo, coilovers, etc.) are an easy way to gain some clearance between wheel & tire and the surround components and structure AT static ride height, it does nothing for clearance when the suspension cycles upward completely. You'll still get the same max allowable upward travel with stock suspension with all the same interferences from lock to lock at full compression. 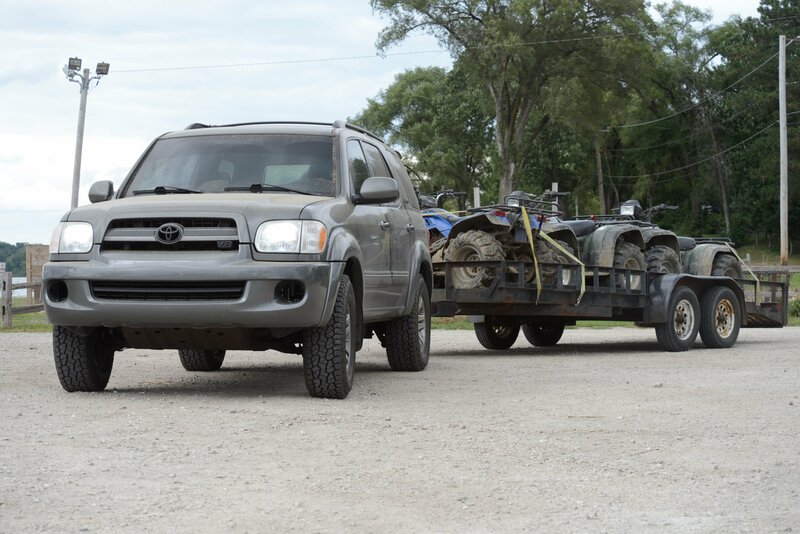 And when you're off-roading, your suspension WILL cycle upward all the way. 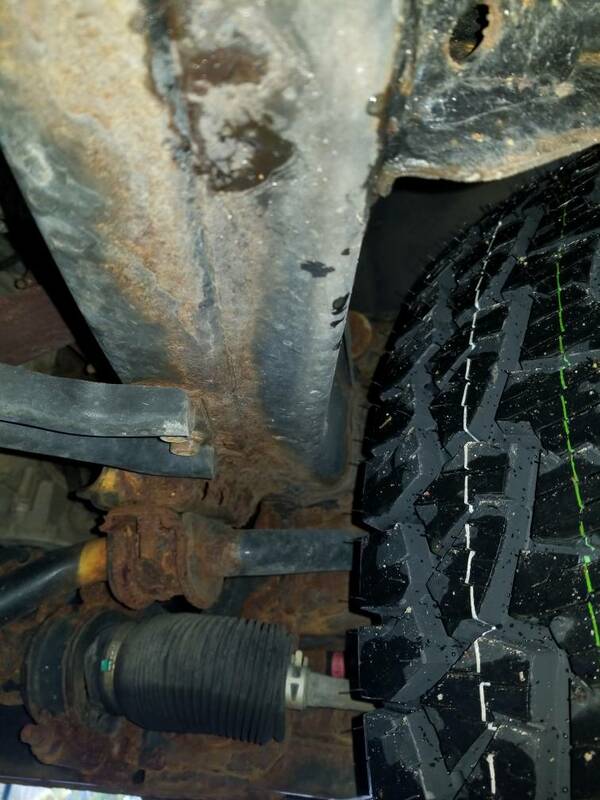 Naturally, when putting on larger tires, you are effectively reducing the amount of clearance between the tire and the suspension components, fender, inner fender liner, firewall, and frame. How much reduction in clearances that will occur depends on the wheel AND tire combination. 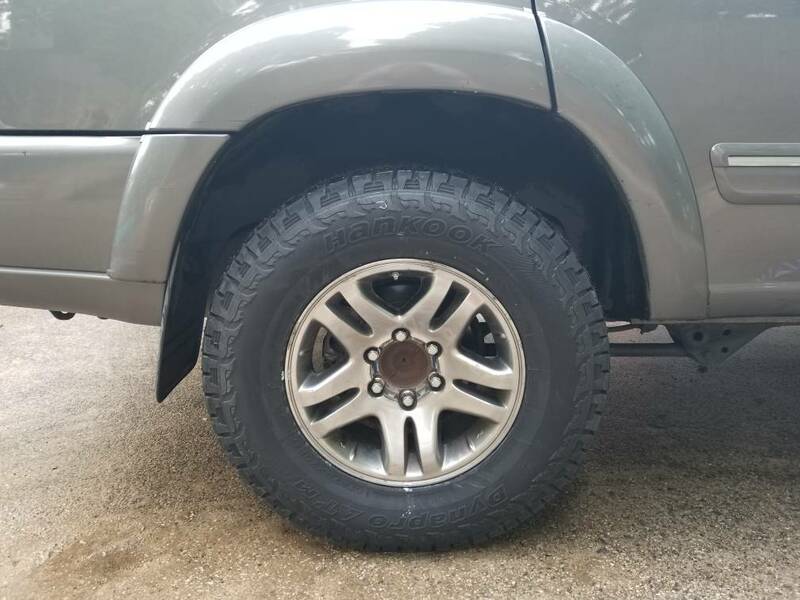 And I say wheel AND tire because the specs of the wheel will determine the placement of the tire at static ride height and the tire specs affects the steering turning travel area that is covered from lock to lock. 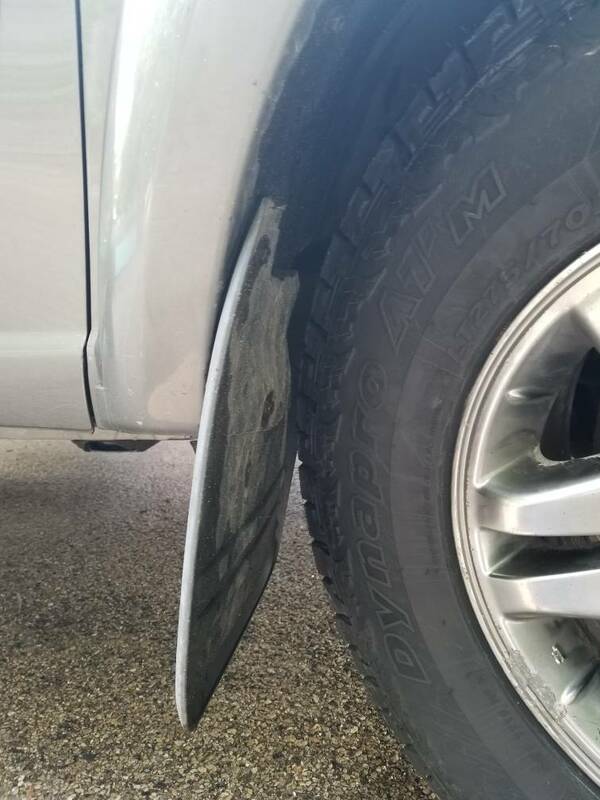 The two characteristics that determine wheel & tire placement are wheel backspacing and wheel offset. The lower the backspacing, the more the wheel & tire is pushed AWAY from the wheel hub (wheel sticks out more). The higher the negative offset, the more the wheel & tire is pushed AWAY from the wheel hub (wheel sticks out more). Low backspaced and high negative offset wheels create clearance away from SOME surrounding components and structure, but effectively, it only moves the interferences to another location. Wheel spacers reduces wheel backspacing (e.g. 4.5" backspace + 1.25" wheel spacer = 3.25" backspace). Body lifts create vertical clearance by lifting the actual sheet metal body AWAY from the frame and suspension. To create clearance for larger tires using a body lift, a good rule of thumb is 1in for every 2in tire diameter change (e.g. OEM 30s > 35s = +5in diameter change ->2.5-3in body lift). Based on measurements taken when I tubbed for 34s, the wheel upward travel has a ratio of 2:1. Basically, for every 0.5" of travel between the lower control arm to the bumpstop equates to 1" of upward travel at the wheel. In the pic below, I still had +2" of usable upward wheel travel before fully cycling the suspension. In the pic below, the wheel can travel upward +1", but as you can see, it would interfere with the fender. I simply love this post. Thanks so much for all your great input. Likes: Sequoia4WD and Sal R.
Just installed some new shoes on the tree. 275-70/17. Fitment is pretty much maxed for tire size. Stock suspension with rear airbags. Just an addition to the thread! That looks good? Are you getting any rub with the factory wheels? It that last photo showing us the full turn? Just installed some new shoes on the tree. 275-70/17. Fitment is pretty much maxed for tire size. Any more pics? I would love to see the whole truck if possible. If like a 2 inch or 3 inch. What is the best way to do this. I' like to run 33s on 18inch wheels. To add to this thread, Jose Wong over @expo has a detailed thread regarding tubbing for 35s. Wheel spec is OEM LC80 wheels with spacers resulting in a 3.25" backspace. This kind of wheel spec results in a lot of material removed to clear 35s stuffed, lock to lock. So, what will it take to clear 35x12.5 tires? Wheel must have a minimum 3.5" backspacing to clear the UCA, regardless of wheel width. Cut away firewall or a 3 inch body lift or a combination of both. Clearancing the transfer case shifter opening, if you have one. Extending the steering shaft, which require cutting and welding. New wider fiberglass fenders or trimming the OEM fenders 3-4" to clear the tires. Not an issue if you use a bodylift. So the big question I have after seeing this is, did you go to 275-70/17 for the spare too? If you did, how does it fit in the traditional spare spot? Does it fit ok? I'd like to go to this size but I was concerned about the size of the spare. 275/70/17 BFG AT KO2 fits fine in the spare location. I have one there now. One more question...I'm heading out west in a few weeks for hunting and I often hear guys say that they recommend 10-ply tires. Are any of you running anything above SL? I will probably put some new tires on here before heading out and was curious about the load range you all use. I was looking at putting on some 265/70/17's to ensure they fit and get load range E tires, probably KO2s or Yokohama Geolanders. Any thoughts on load? Anybody try 285 70 17 in the spare spot? I'm wondering this too. Did you ever find out if it works? 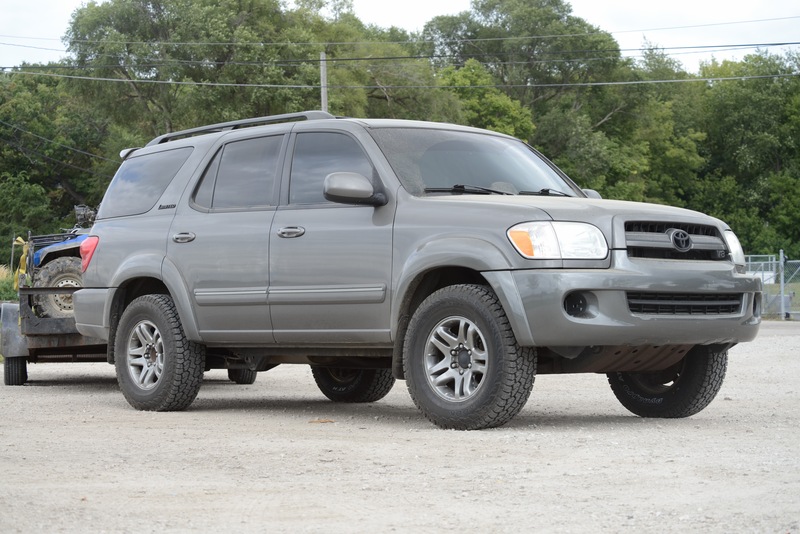 I'm looking into some new tires for my Sequoia and am thinking of going with 285 70 17. Previous owner had Rancho (quicklift?) shocks installed and a spacer lift in the rear so I'm hoping to fit that size all around. Hey a 285/70r17 will fit in the factory spare in most cases. I had a toyo MT in that size there but I caution you that it will rub depending on the tire. The same size KO2 fit without rubbing. I haven't tried personally but I've heard it fits if you deflate it a bit... but what good is that?? 275/70/17 (32") will fit. 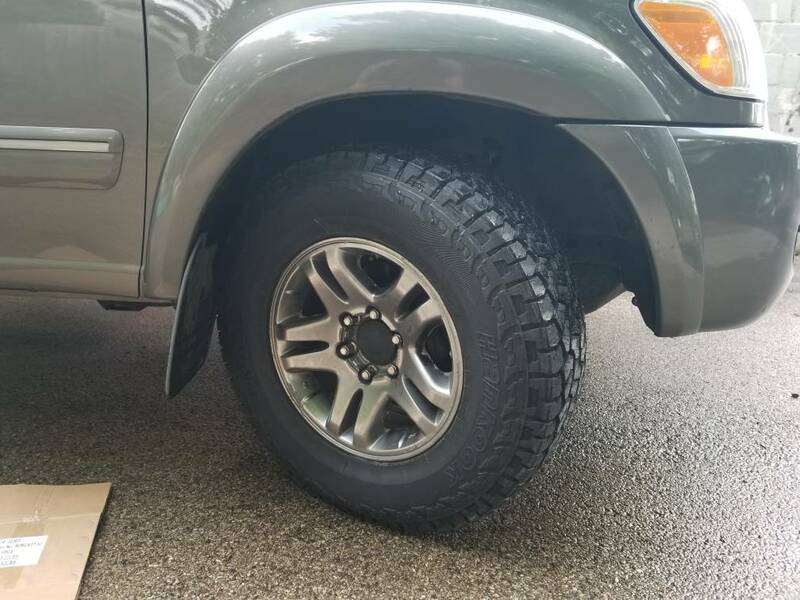 Got a deal on some 285/70/17 Cooper ST Maxx from a guy on craigslist today. I'm having trouble determining what size wheel spacer is needed to prevent rub if I'm mounting these on the OEM wheels? I'd like to get new wheels but can't afford it at the moment. Also, are hub-centric spacers the way to go? Was looking at a set on eBay. Trying to determine if I should get the 1.25" or 1.5" spacers. I'm thinking 1.25" since that's the size I'm seeing others use and don't to push them out too far that they cause fender interference. Other question is should I do 1.25" all around? I saw some people do .5 or .75" in the rear. Any opinions on that?